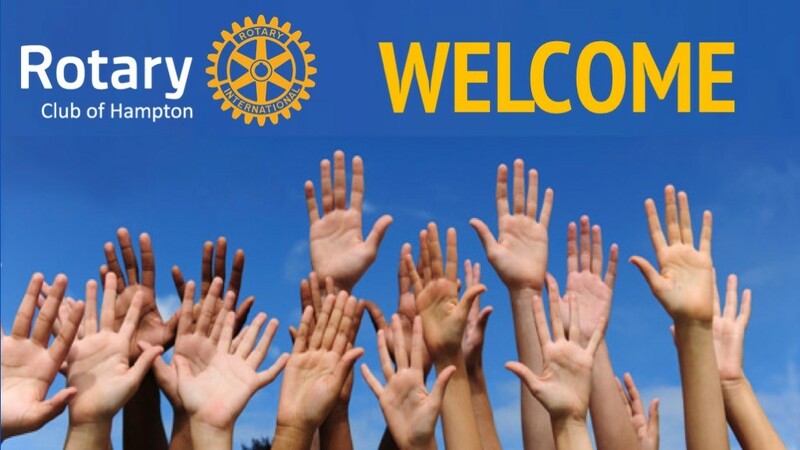 Welcome to the Rotary Club of Hampton! Our Club was chartered in October 1995 and, since then, has been working continually, with our partners and friends, to make a difference in the local and global community. We are progressive, inclusive and innovative in our approach to creating positive social change, while having fun, expanding our networks, developing new friendships and pursuing personal development. We are a well-regarded, active community oriented Bayside service club. Individual members have plenty of opportunity to propose projects to support, to get involved in a range of activities and challenges whilst making new friends and enjoying the Rotary fellowship that comes with participating at local, interstate and international conference levels. Fundraising and volunteering at our monthly Bayside Farmers’ Market. This major community event, held on the 3rd Saturday of every month, has generated proceeds from the entry donations as well as the Rotary BBQ, which the Rotary Club of Hampton has been able to “give back” to the local community. Many organisations have benefited directly, including local sporting and youth groups, local schools and hospitals and a range of community groups. Supporting youth development and leadership through collaborations with local primary schools and providing awards for public speaking through the Primary Schools Speech Competition, awards for Resilience, as well as the annual Friendship awards. Developing a program for pre-school hearing screening in the Bayside area which has assessed hundreds of children to date and referred 20-25% for further medical and diagnostic assessment. This program has been a partnership between Hampton Rotary Club, the Department of Audiology and Speech Pathology at the University of Melbourne and Bayside City Council’s Family Services. We also acknowledge the generous support of the Hampton Primary School who have made their facilities available for conducting the testing. Supporting the Salvation Army for many years and assisting by providing hampers and food parcels which are distributed to needy families in the local community. Providing community BBQs in local housing estates and at community events as an opportunity to connect and contribute to community life in the area. Establishing an ongoing program of Community Grants which provides financial assistance for a range of worthy community projects. Supporting a number of tertiary students in Fiji by providing a range of educational scholarships. In addition, volunteers have been involved in school building and maintenance programs as well. Providing volunteer services and financial support for hospital projects in Timor Leste, and in Cambodia. The most recent initiative has been to source and pack a container of medical supplies from the Rotary Donations-In-Kind warehouse which was sent to a start-up women’s hospital in Nokor Tep Cambodia. Sponsoring a student to attend Camp Awakenings, which is an Australian youth development program for Year Nine students focused on building support networks for the participants through friendship and trust. Participants develop and harness methods, tools and skills to counter the challenges faced by today's youth, through self-belief, self-respect, a positive attitude and motivation. Participating in numerous programs of international aid, including Disaster Aid Australia. Volunteering to improve the sustainability of the Bayside foreshore by planting hundreds of native trees in the annual Plant-A-Tree project. If you would like to find out more information about what it means to be a member of the Rotary Club of Hampton, and how you can be involved in our various projects, please contact us here.